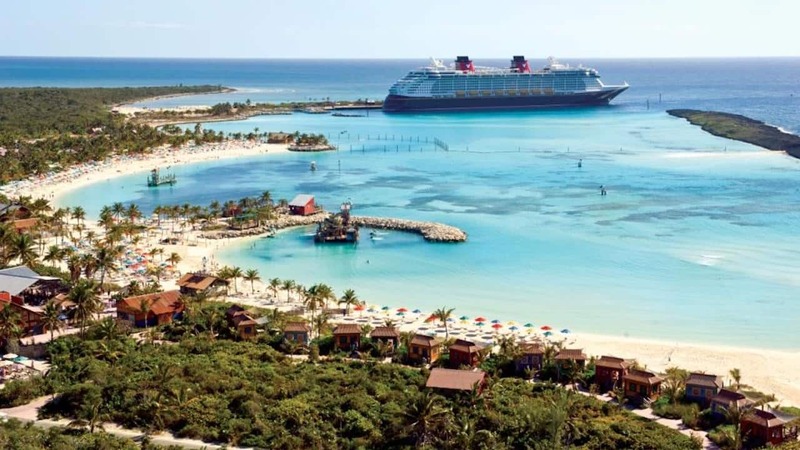 This summer, Disney Magic cruisers are in for a special treat as we sail away from Barcelona. 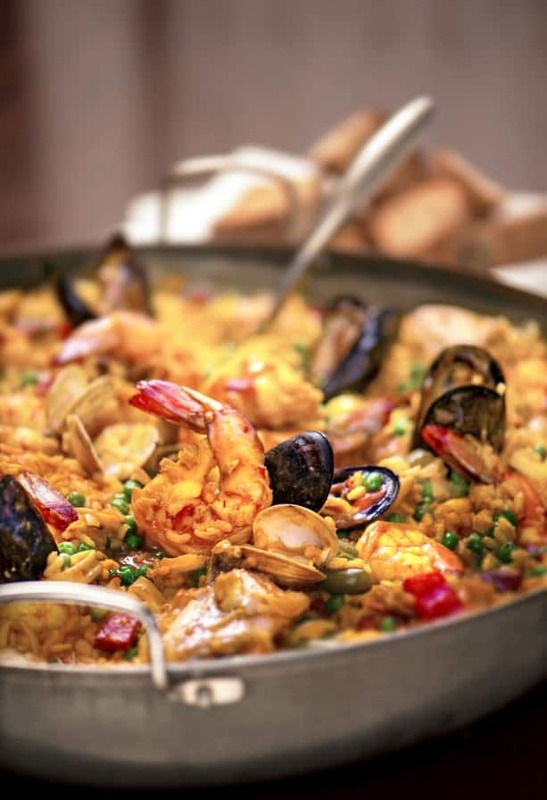 Out on the open-air deck, we’re cooking up an incredibly delicious, Spanish-inspired dish – seafood paella! Fresh clams, mussels, chicken, chorizo and prawns are just some of the ingredients mixed in with our specialty saffron-infused bomba rice to give this dish an unbelievable amount of flavor. Even if you aren’t sailing in Europe with us this summer, you can still bring a taste of the Mediterranean into your home with this mouthwatering Disney Cruise Line recipe. You can also download our keepsake recipe card here. Enjoy! Toss chicken tenders with paprika spice and one chopped garlic clove in a bowl. Chill for 4 hours. Sear both sides of the scallops, then set aside. Sauté the chorizo, chicken and lobster in 1⁄4 cup of olive oil. Once cooked medium well, place onto a paper towel and set aside. Pour the remainder of the olive oil into the pan and bring to temperature to gently sauté the onion and the rest of the garlic. Once the onion is transparent, add the rice. Gradually add the HOT chicken and fish stock (a little at a time while continually stirring). Then add the tomato juice and chopped tomatoes. Once the rice is 3⁄4 cooked through, add the scallops, chorizo, chicken, lobster and remaining ingredients (except the flat parsley, clams and mussels). Continue stirring. Once the stock has been absorbed and the rice is cooked, stir in the peas and flat parsley. Lay the clams and mussels on top of the rice and cover with a clean napkin. The heat of the paella will open the shellfish. Place the saffron threads into the white wine and reduce by half, let cool, then mix with the remaining Ingredients. Blend the roasted red bell pepper, roasted garlic and red wine vinegar in a food processor. Mix with the mayonnaise and season with the cayenne pepper. according to fitday, a serving has 310 calories and 11 grams of fat (2.1 are saturated fat). And if that is too much, try using light mayo. All in all, this is actually a very low calorie meal… and very tasty. The only thing missing is veggies, so have a salad along with it. I know what I am making for dinner this weekend!!!! And what are the calories is such a dish? Geez I wish they would offer healthier options…although they would probably not taste as good.